It’s not everyday a random kiss in a bar leads to a marriage but for Brooke and Shane, that’s exactly what happened. That kiss led to a beautiful romance, a lakeside proposal (where Brooke caught her first fish!) and a gorgeous vineyard wedding. 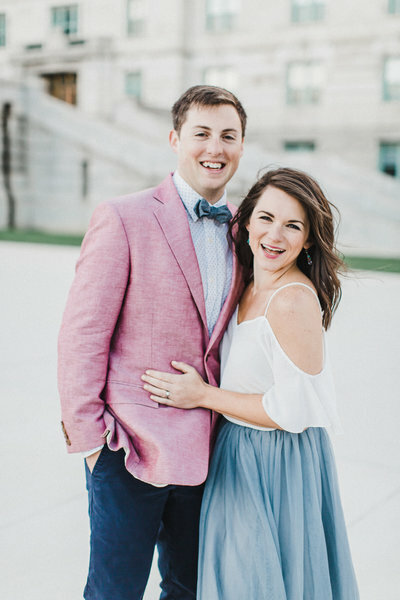 Katie grew up in a home filled with blue and white toile, ginger jars, monograms, and magnolia leaves, and knew that she incorporated those elements into their classic and slightly Southern wedding. Ian and Annie celebrated the start of this next step in their lives at the historic Engineer’s Club in Baltimore, Maryland. This Engineer’s Club wedding had a bit of family and history woven into it. A gorgeous wedding at the Four Seasons Hotel in Baltimore, Maryland with Elle Event Designs. Ceremony at the Loyola University Chapel.